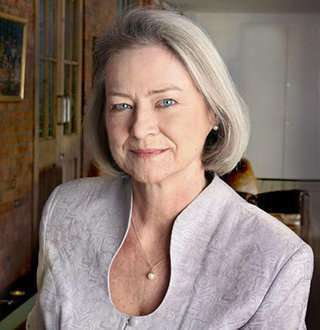 Nobody Child's author Kate Adie devoted all her life to the field of journalism. As biographical as she was with her work, her relationship status was a different story. Kathryn ‘Kate’ Adie is an English journalist remarkably known as the reporter and chief news correspondent for BBC News. She is supposed to be among the most reliable reporters as well as one of the first British women sending reports from danger zones around the world. In 1993, she was awarded an Order of the British Empire (OBE) by Queen Elizabeth II. Kate Adie was born on 19 September 1945 in England. She is the adopted daughter of a Sunderland pharmacist Wilfried Adie and his wife, Maud. Her birth mother is Babe Dunnet, and she also has a sister named Dianora Bond. She grew up in Sunderland as her foster parents' only child, and they never veiled the fact about her adoption. Kate defined her childhood as ‘hugely secure and happy,’ and she also revealed that they had always loved and supported her. For I was now part of a much bigger family, having met my own mother and a wonderful, welcoming tribe of a kind and fascinating relatives. Unfortunately, her mother died in 2014 at the age of 94. She is also in search of her biological Irish mystery father, a Waterford man named John Kelly. But she has not found any clues of him till date. Talking about her career, she launched her BBC career as a station assistant at Radio Durham after obtaining a degree in Scandinavian Studies. She has traveled extensively during her BBC career and reported from all around the world. Kate served as the BBC’s Chief News Correspondent from 1989 until 2003. As a television news contributor, Kate’s notable assignments include the Bologna railway station bombing and the Tiananmen Square protest in Beijing in 1989, both Gulf Wars, the final NATO intervention in Kosovo and elections in 2000, the massacre at Dunblane, the Selby rail crash, four years of war in the Balkans and the Herald of Free Enterprise disaster at Zeebrugge. There was a volley of shots and a man cannoned into me. I fell straight over him as he went down. When I got up, I had blood all over (my lower arm) and I realized that he was shot and the bullet had gone past me. She has also served as a judge for literary prizes including the Booker, Whitbread, Costa, and Orange and as a trustee of the Imperial War Museum. Kate is also an author and has written four books: her autobiography - The Kindness of Strangers, Corsets to Camouflage, Nobody's Child and, Into Danger. She was honored with a BAFTA Fellowship in 2018. As for now, she presents From Our Own Correspondent on BBC Radio 4. At age 72, Kate is working hard as ever. Most recently, she wrote a series of news pieces exploring the culture Italy, Croatia, and Albania. The veteran journalist also attended 2018 Beyond Borders International Festival. The 72-year-old author has written some notable autobiography of her intriguing journey of life, but she has never written anything regarding her love life. Kate, till now, is not married and she has never been rumored to be dating anyone in her life. In an interview with Elizabeth Grice in 2005, Kate revealed that she has never married and had no husband and children. Her love life has not been as exciting as her career and its neither complex. Kate has always been in the limelight for her courageous work, not for being in affairs with any man. Even though she has never been in love; Kate describes her personal life to be quite enjoyable.